Since I write a lot about nutrition and health, I mostly talk about what we put into our bodies: food, beverages, supplements, etc. Today, let’s change gears a bit and talk about what comes out of our bodies. Or, rather, what doesn’t come out. Yes, that’s right: we’re talkin’ chronic constipation. It’s the poop post! Well, not really all the poop. Just constipation. It is beyond the scope of one lil’ post to cover all the details of what does or does not happen in the small and large intestines (and the gallbladder!) that could result in diarrhea, gas and bloating, steatorrhea (“fatty stools,” a.k.a. science-speak for oily poop), black or tar-colored stool, or even clay-colored/whitish stool. (Yikes!) If you want to learn more about different kinds of stool and what they mean, start with the Bristol stool chart. You can find modified versions of it in two of my favorite health books: Paul Chek’s How to Eat, Move and Be Healthy, and Diane Sanfilippo’s Practical Paleo, in which she paid homage to Chek’s version, which was the inspiration for her own. We’re going to leave all the other poop stuff aside and just talk constipation. I have to assume that if you’re reading this, you experience chronic constipation or want to help someone who does. So there’s no point in me going on about diarrhea or “ideal stools” anyway. If you had either of those, you wouldn’t be wasting your time with this blog post. Unless, of course, you just enjoy my writing and would read anything I write (in which case, thanks! [And you obviously have good taste]), OR, you have an odd fascination with difficult defecation, even when you, yourself, don’t experience it (in which case…well, perhaps I’m not the blogger for you; there are lots of other people who specialize in freaky fetishes, hehheh). Would it be off-putting & TMI if I wrote a blog post about chronic constipation and what I have found to be a miracle solution for myself? The question is, why do so many people experience CC? I suspect the reason is that there are many possible causes. You could have any number of things going on, diet and health-wise, that might contribute to CC. And the only way to fix CC is to find out which of the many potential causes is behind your CC. (Get it? Behind!) And maybe there’s actually more than one thing contributing. My point is, unless you identify and address the underlying cause(s), many of the “off the shelf” constipation remedies are not going to work for you. I am speaking from experience here. In fact, the whole reason I wanted to write this post is to talk about my experience and share what worked for me—after lots of time and money spent trial-and-erroring my way through several things that didn’t work. 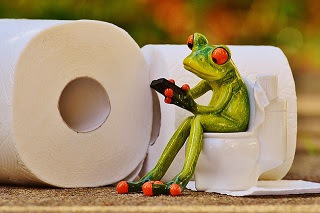 Before we get to that, though, let me explain what I mean by “chronic constipation.” According to the National Institutes of Health (even though we do not at all implicitly trust the government when it comes to health), constipation implies fewer than three bowel movements per week. If you go one or two days without a BM, news flash: you are not constipated. You just went a little while without pooping. Healthy colon function isn’t defined by daily bowel movements that occur like clockwork. In fact, according to the American Society of Colon & Rectal Surgeons (bet their annual meeting is a hoot! ), “The belief that one must have a bowel movement every day simply is not accurate and can lead to unnecessary concern and even abuse of laxatives. In fact, if one’s daily bowel movement is hard, requires great effort to expel, or does not satisfactorily empty, the individual would still be considered to have constipation in spite of having a ‘normal frequency.’ On the other hand, if one has a movement every third day but it is not hard, does not require straining and completely evacuates, then one may very well consider this normal bowel movement, in spite of the fact it is not a daily event.” So it’s okay if you don’t go every day. It’s okay if you do, but you don’t need to be popping Ex-Lax or chugging milk of magnesia if you skip a day. And remember, if you’re not consuming massive amounts of vegetables (and/or grain-based dietary fiber), you’ll probably “need” to have fewer BMs anyway. The whole reason the “experts” recommend tons and tons of vegetables and whole grains is precisely because of their fiber content: i.e., the stuff that passes right through us, undigested. If you are not consuming a whole lot of this indigestible plant matter to begin with, then there won’t be a whole lot of it coming out the other end, right? (Protein and fat are a different story. Our bodies are actually made of those things, so we’re retaining and using more of those.) I’m not advocating for “zero-carb” or 100% carnivore diets. I’m simply pointing out that if you’ve cut way back on the amount of indigestible plant material in your diet, then it makes perfect sense that you’ll have fewer BMs—and this does not necessarily indicate constipation. Constipation is almost more subjective than objective. If you haven’t had a BM in two days, but you feel fine, you’re probably not constipated—particularly if you haven’t even had the urge to go. On the other hand, if you have had the urge, but nothing comes out, or your BMs are incomplete—meaning, a little bit came out, but you feel like there’s a lot more inside you that didn’t come out, then yeah, you’re probably constipated. If this happens once in a while, that’s NORMAL. All kinds of things can cause this, and if it’s not chronic, well, then, it’s not chronic, and you don’t need to worry yourself over a problem that is not actually a problem at all. On the other hand, even though you don’t have to “go” every day to have a healthy transit time, if it’s been, like, a week (or more! ), and you haven’t gone at all, then yeah, maybe you’re constipated. This is especially true if you haven’t even felt the urge to go. I mean, think about it: if a whole week passes and nothing…passes…then the remnants and waste products of all the food you’ve consumed during the week are still inside you. This is bad, bad physical and psychological health juju. I wrote about this in detail back in the series I did on digestion. If you just can’t get enough of my encyclopedic-length posts and are a relative newcomer to the blog, the digestion series will keep you entertained and off the streets for a while. It starts here. I covered the effects of constipation on physical and mental health in the first and second posts about the large intestine. To give you the nutshell version: bowel movements get rid of bodily waste. We also get rid of wastes through urination, sweating, and exhaling, but BMs obviously help us get rid of lots of “stuff” that doesn’t come out in urine, sweat, or exhaled breath. The stuff we get rid of when we poop includes all kinds of things: intestinal bacteria; undigested food; the remains of what we did digest; and also “waste products” and “toxins” produced by perfectly normal, healthy metabolic processes. Having a BM is like taking out the garbage. It needs to be done on a somewhat regular basis so waste doesn’t build up and make a place uninhabitable. There’s a reason we take the trash out—because it’s trash. We don’t want to keep it inside our homes. It’s the same with a BM. So if you go many days without a BM, those waste products build up inside you, and not only do they build up, but they can actually get re-absorbed into your body! The bad stuff that was supposed to get taken out then comes back in! This is a pretty big deal. I covered it in detail in part 2 of the large intestine post. I do recommend giving that one a read. Today’s post is going to be long enough without me reiterating what I already explained fairly well back then. (Since certain issues are near and dear to my heart, however, I will take a second to say that if you are chronically constipated and suffer from depression, THAT IS NOT A COINCIDENCE. THERE IS LIKELY A CAUSAL RELATIONSHIP THERE. If you are literally reabsorbing wastes into your bloodstream because they’ve been sitting in your colon for several days and aren’t being excreted, it is no surprise that, psychologically and emotionally, you feel like…well, sh*t [no pun intended].) Yes, dear readers, I speak from experience. :-/ Depression and constipation are also two big symptoms of low thyroid function. More on this in a bit. When people are constipated, we’re typically told we need more of something. More water, more vegetables, more fiber, more fat, more exercise: more, MORE, MOAR! If you already drink plenty of water and are already well-hydrated, then dehydration is not causing your CC. Even if your stools are hard as rocks and dry as a cracked, caked desert floor, if you’re already drinking lots of water, then MOAR WATER isn’t the answer. If you don’t drink a decent amount of water most days, then sure, make it your priority to increase your water intake for a few weeks and see if that helps. Um, the last person on Earth who needs to eat more fat is me. I’m pretty certain insufficient dietary fat was not the cause of my CC. The reason increasing fat intake is recommended is because too little fat could be the culprit behind the aforementioned hard and bone-dry stools. But again, if you’re on a LCHF, Paleo, or Primal diet, then you’re probably consuming adequate fat to “grease the skids,” as it were. Probiotics have been life-changing for some people. I am not one of them. It’s possible I didn’t take them for long enough, but frankly, I didn’t want to. I honestly felt like they were making me gain a little weight. I didn’t like the way they made me feel. (Maybe I needed higher amounts or different strains. That's possible, but I just don't think my CC is a gut flora issue.) I know of at least one other person who’s written about this effect, so at least I know I’m not the only one. On the other hand, I don’t want to dissuade anyone from trying a good probiotic. Like I said, they’ve been hugely helpful for many people. All I can say is, things like this really shine a light on the concept of biochemical individuality, and how there really, truly, is no one-size-fits all advice when it comes to health. 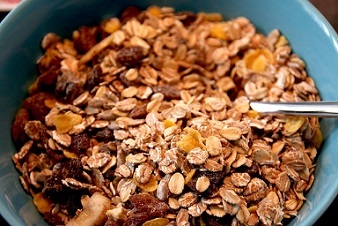 More vegetables, beans, whole grains & bran cereal: more fiber, More Fiber, MOAR FIBER! I would like to say that we need no dietary fiber at all. Remember: fiber is a type of carbohydrate, and the human requirement for dietary carbohydrate is zero. Moreover, animals that are obligate carnivores eat little to no plant matter whatsoever and seem to have no problem dropping a deuce in the wild. We could point to this as proof that, at least somewhere in the animal kingdom, there exist mechanisms for pooping successfully without piles and piles of green leafy things, nor of bran cereal nor Metamucil. If a lack of fiber isn't your issue, them MOAR FIBER could actually be the worst thing to do. Yes, fiber “adds bulk,” but if part of what's causing your constipation is slow peristalsis (the muscular contractions that move food through the lower GI tract), then guess what? You will have even larger, bulkier stools sitting in your colon for several days (or weeks). If what's already stagnating in your colon is not moving through in a timely manner, why would you want there to be more of it? Ultimately, you will be more constipated and more physically uncomfortable. For more on the bad aspects of too much fiber, check out the book The Fiber Menace. I haven't read it yet, myself, but it's near the top of my list, and I have it on good authority that it's quite the eye-opening read. Ayurvedic medicine (the Indian counterpart to traditional Chinese medicine) holds that dairy aggravates the Kapha body and personality type (called a “dosha” in Ayurveda). Sadly, I have found this to be true. I say “sadly” because I am kapha out the wazoo (we’re all made of all three types, but one dominates, and my kapha is really dominant), and I looove dairy, but dairy doesn’t love me back. I can eat some (and lord knows I do! ), but if I overdo it, it’s bad physical and emotional juju. I get constipated and depressed, and, as I mentioned in one of the fat loss posts, I get pudgy, too. Butter and heavy cream seem okay; it’s the cold, creamy stuff that really messes with kapha: sour cream, yogurt, cottage cheese, etc. If dairy is a significant part of your diet and you experience chronic constipation, it’s worth cutting back for a while to see what happens. I’ve done this, and it didn’t help me. More dairy makes me more constipated, but no dairy doesn’t seem to get me less constipated. I mentioned earlier that chronic constipation and depression go hand-in-hand. You won’t always be constipated if you’re depressed, but if you’re chronically constipated, there’s a good chance you’ll be depressed, as well. I explained the potential causation being that CC can result in “toxins” and metabolic waste products being reabsorbed into the body. With all that icky stuff circulating back into your blood, it’s no wonder you might be depressed. One of the things that gets reabsorbed in this scenario is excess estrogen. And guess what, ladies? Depression is a symptom of estrogen dominance. Constipation is also a symptom of estrogen dominance, and based on what we’ve just said here, not only is it a symptom, but it may, in fact, be a cause. But if constipation causes depression and the reabsorption of estrogen, what’s causing the constipation? We always want to get back to the underlying cause. If it’s not insufficient hydration, it’s not inadequate dietary fat or fiber, and it’s not too much dairy, then what is it? How about low thyroid? Sluggish thyroid is a HUGE contributor to CC. As I mentioned in the post about thyroid & stubborn fat loss, a slow thyroid makes everything in the body run colder and slower: body temperature, energy generation, basal metabolic rate, and the movement of waste through the colon. Ding, ding, ding!! We have a winner! In MY case, my low-ish thyroid is (in my belief, anyway), the major—and quite possibly the only—cause of my chronic constipation. And when I say chronic constipation, let me tell you, people, it was bad. B-A-D. It was nothing for me to go more than a week without a single BM, and without even the urge to have one. Not good! I’ve taken my share of Ex-Lax, Smooth Move, and Get Regular laxative teas. I’ve even had a couple of colonics! (Also called “colon hydrotherapy.”) Yes, that’s how “stopped up” I’ve been in the past. Believe me, a colonic is not something one subjects oneself to “for fun.” Desperate times called for desperate measures. So here’s the deal: generally speaking, I support getting to the root causes of whatever one’s health issues are. You can cover up symptoms with all the band-aids you want, but unless you address those root causes, things will continue to get worse and eventually spread to other parts of the body. BUT: when the root causes of your issues prove evasive to identify, difficult to correct, or both, SOMETIMES YOU DO NEED THOSE BAND-AIDS. There’s nothing wrong with taking advantage of a short-term fix that gives you relief while you continue to work on the underlying causes. Thyroid dysfunction can be terribly difficult to correct, because it’s often impossible to identify what’s causing the dysfunction. So, you can spend years—decades, even—trying to find out why your thyroid hormones aren’t optimal on their own, but during that time, you’re going to be chronically constipated. And since it is a BAD IDEA to remain chronically constipated for decades, I fully encourage the use of laxatives, enemas, colonics, or whatever else you find gets things moving. Because, at some point, they do have to move. This is sort of where I’m at now. I have finally, finally landed on a supplement regimen that I think is hugely helping my thyroid issues, but it’s not perfect. I still need some help in the “number 2” department. Hopefully, in time, my new regimen will negate the need for this, but until then, I’ve at least found a way to “go” regularly. One that does not require enemas or colonics (THANK GOD), and one that is probably correcting nutrient deficiencies I didn’t even realize I had. MAGNESIUM CITRATE: It is pretty well-known that high doses of magnesium can alleviate constipation. In fact, many over-the-counter laxatives contain magnesium in one form or another, often citrate. I can’t comment on other forms used as remedies for constipation, because I have only ever tried the citrate, myself. But boy, has it been a godsend for me. I started with Natural Calm, which many of you are probably familiar with. I took it for a while, with no real noticeable effect. I decided one day to increase my dose and not dilute it with as much water as I had been using. BAM! Worked like a charm. I guess I just wasn’t taking enough when I first started, or was diluting it too much. Why does magnesium help with constipation? Well, two things: first, it helps draw water into the colon. (Again, it’s not that more water will always help. If you’re already drinking sufficient water, it’s a matter of getting that water to the right place at the right time.) Second, magnesium balances calcium intake. If you find yourself constipated from dairy, and you don’t want to cut back on dairy, then it’s especially important to get adequate magnesium. You may have heard about the importance of the balancing acts between sodium & potassium, and copper, iron & zinc. Well, the same holds for calcium & magnesium. Too much of one can induce a functional deficiency of the other. In today's food supply, it's almost never too much magnesium, but it's easy to get way too much calcium in relation to mag. Bottom line: Magnesium has been very helpful for me. Well, lo and behold, not only have the teeth & veins gotten better, but the CC has much improved as well. (I’m not about to start eating lots of starchy vegetables and white rice, but never let it be said I haven’t benefited from a book written by a guy who advocates for a slightly higher carb intake.) The combination of the vitamin C and magnesium seem to have a kind of one-two punch effect for me. They don’t cause diarrhea or loose stools. What they do—at least for me—is make me have the urge to have a BM the next day. Not as soon as I wake up, but usually within three hours of being up and about, it’ll kick in. And not to give you TMI here, but when I do go, it’s great. Stools are well-formed, easy to pass, and the BM is complete. I don’t mean to be gross or anything, but if you’ve never been chronically constipated as badly as I’ve been in the past, you cannot understand what a huge deal this is. It wouldn’t have occurred to me to add vitamin C solely as a constipation remedy. It was pure serendipity that I added it for other reasons, and it ended up helping the CC. I don’t know why it didn’t occur to me, though. There’s something called an “ascorbate flush” or a “vitamin C flush,” which is intended to give you loose stools. 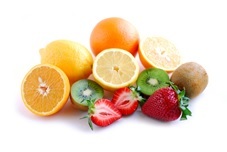 Basically, it’s a way of determining your need for vitamin C, and what your optimal dose is. You take a small amount of the powder every fifteen minutes until…well, until you run to the bathroom. (And your optimal dose would be slightly less than that, and less and less over time, as your body becomes replete.) So while a very high dose might cause diarrhea, a lower dose simply loosens things up just enough to get them moving. Again: GODSEND. If it sounds like I’m exaggerating with all this “godsend” talk, it’s only because regular BMs have been just shy of life-changing for me. I still lean toward depression, but it has been much better lately. I’m not sure how much of that has to do with my new thyroid supplementation regimen or having regular BMs. I suspect it’s both, but I can tell you for certain: if I have two or three days now where I don’t have a BM (and they do still happen here and there), my mood is darker and gloomier than when I do go early in the day. Ultimately, I want my thyroid to work well on its own, because that, presumably, will help me have normal BMs even without the vitamin C and the magnesium. Mag citrate and vitamin C aren’t pharmaceutical drugs, but I still prefer not to become dependent on anything in order to make bodily processes happen that should happen just fine on their own. But like I said: sometimes, we need the short-term fix. We need the band-aid. Especially when the band-aid can have such a powerful impact on our mood and overall enjoyment of life. P.S. Many of you have probably heard about Squatty Potty by now. I just bought one, but haven’t used it yet. I’ll report back if anyone wants to hear if it’s as life-changing as Vinnie Tortorich makes it sound. All I know is, I can see it making it easier to go, but I don’t see it being a “cure” for chronic constipation. Squatty Potty looks like a great aid for when you are already about to have a BM. It will “come out” more easily and more completely. If something physiological is causing CC, however—such as a slow thyroid or too much dairy—then I fail to see how Squatty Potty will alleviate that. Still, potentially a helpful product for what it does do. Please, please write about your thyroid treatment approach! I loved this entry. 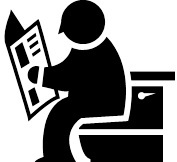 To the point and covered many of the areas of Constipation we all experience. I've personally noticed that excessive dairy causes things to slow up.Magnesium helps me, although I use the Glycinate variety. In addition I take in a large amount of all electrolites at night via pottasium, sodium, often via broth and food. This in it self seems to prompt a BM right away. I hardly ever consume large amounts of fiber, in fact I may be near zero on some days. Almost never more then 15grams ever. But I continue to produce at least 2 BMs per day, sometimes more. I also fast each day and eat but 1 meal daily, so this may help me move more regularly as well, but once again I am not sure. Anyway it was a great entry, keep it up! Alright, I admit that I'm one who doesn't suffer from CC, but kept on reading anyways! Good job! I remember reading Fiber Menace, he recommends a Vit C and magnesium blend as well. I recall that constipation referred to hard stool and irregularity refers to timing of the BM. I don't know if that is still how it is classified. I have folks that insist on high fiber intake but will not supplement either of Vitamin C/Mg. I also, recall that the label on psyllium warns to take in adequate water with the psyllium or you may get clogged! Thanks for this blog Amy! I have a few friends who are bothered with "cc", and I will forward this for them to read (I'm thinking you will have at least two new readers after this). I do not have such a problem, but I do have a slightly low thyroid problem and some depression. My friends and I are post menopausal, and we are thinking that maybe our hormones are part of some problems we have, so please seriously consider writing that blog you were talking about. Thank you again for your blogs, they're great! Yay! New readers always welcome. :) Thyroid is *so difficult* to figure out. I'm doing better than I was, but there's still a lot to be desired. Really seems like just a lot of trial & error (mostly error, hehheh) in order to figure out the precise combination of supplements/foods/hormones/lifestyle stuff that will be the silver bullet. Very frustrating, but I'm not giving up. The alternative -- to spend the rest of my life feeling this way -- is almost unthinkable. Thanks for this post Amy. I often squat on the toilet (I just put my feet right on the seat!) to induce a good bm when things are stopped up in there... If things are REALLY stopped up and I get the feeling that squatting on the toilet won't help much, then I just squat around the house (reading a book, watching a movie, etc.) for 15-30 minutes and this often gets things moving just enough to make a bathroom attempt possible and even successful! Sitting in chairs most of the day (even with daily walks interjecting) really does a disservice to our colon health! Interesting! I've tried the Squatty Potty since I wrote this, but only once, and I didn't like it. I'm probably just not used to it though, so I'm going to try it plenty more times before I decide how I feel about it. 12g is an extremely high dose. I don't take more than 3-4g. I didn't notice any sleep issues, but it wouldn't shock me if you had that issue after taking a very high dose all at once. Supraphysiologic doses of just about *anything* can do funny things to us. (Also, I was taking the vit C along with magnesium, and the Mg is good for relaxation/sleep, so maybe that counteracted whatever energy-producing effects the C would have had on its own. I'm more inclined to believe your experience was probably due to the high dose in one sitting, though. I have been taking magnesium for a while, although I just upped the dose because it wasn't doing anything for my sleep or my CC. I got to the 12g dose by working up to "bowel tolerance". By dividing into 2 doses and taking at breakfast and lunch yesterday I didn't have the same issue getting to sleep last night - YAY! In other news, after 4 days on this mega dose of vit C I woke up this morning and my skin (all over) is as soft as the proverbial baby. Haven't had skin this soft since I was a teenager. Wild, but I'll take it. BTW I love your writing. Of all the blogs I subscribe to, it's yours that I open in the flood of emails. You are one of the real voices in the abyss of dietary mis-information. THANKS so much for this article. I am 74 and guess what I have been for my whole life? Poop warehouse! I keep trying different remedies (suggestions, etc.) but .... So now I'm going to try your Magnesium and Vit C combo ... have done the Magnesium and it helps somewhat (if I keep taking it regularly) but nothing keeps me regular. So - here I go off to Richards Foods to buy the Vit. C.
Let me know if you find any relief. I hope it works for you! :) As you know from reading this post, I am only too aware of how awful chronic constipation is. Being more consistently LCHF has helped, & so has my Squatty Potty from a purely biomechanical standpoint - I balked at $24.99 for a piece of molded plastic, but am far too clumsy to squat on the toilet without this prop. Again, I appreciate your self-experimentation & insight! Thank you for recommending the book Fiber Menace. It was an enjoyable read. I hope I leaned a few new tips. It makes sense. He dislikes Dr Aktins and fell for an Urban Myth about his death. How was the squatty potty? I've considered it. I've noticed the joys of Magnesium (I use malate), too. ;) I've never tried that in combination with Vit C, but I usually don't drink enough water, so.... LOL Interestingly, I have, like you, other (some are similar) reasons to add Vit C to my diet, so it'll be interesting to see how it affects things. I intend to go for a more moderate approach, though. Not a fan of supplements. I can't seem to find a good food source for Magnesium, so I give in for that one, but vit C should be easily done with peppers and kiwi (easy to find and I like them both). I read this morning that under 200 mg is actually the point at which you get the best absorption, and the excess is flushed out. I wonder if that's part of why the Vit C helps with CC - because you're flushing out the excess. You brush on that with your comments about finding your upper limit. Copious quantities of salt water (like a teaspoon and a half of salt) and bullet proof coffee with a water chaser are things that have also worked for me, unintentionally. The thyroid component is interesting. my grandmother has a weak thyroid and my whole family is obese (lucky me, I'm not), and I wonder if that's a contributing factor for me also. I may see about getting some kelp in my diet. We don’t talk about digestive disorders and we rarely seek advice to help such a common problem. The most common problems associated with the digestive tract are diarrhea, constipation, irritable bowel syndrome (IBS), inflammatory bowel disease (IBD), and heartburn. So I prefer regular use of bowtrol probiotic for colon cleanse which helps in all digestive system problems. Please give the Squatty Potty a chance or at least do a little study of "bathroom" posture. Looks like you have a lot of followers and the information would be helpful. Even my PT has a Squatty Potty in the office. Life-changing!